I’ve always loved that quotation. Full of imagery, full of chances to make magic. So many imagery paths to choose. But which one? Who really ever thinks of sand? 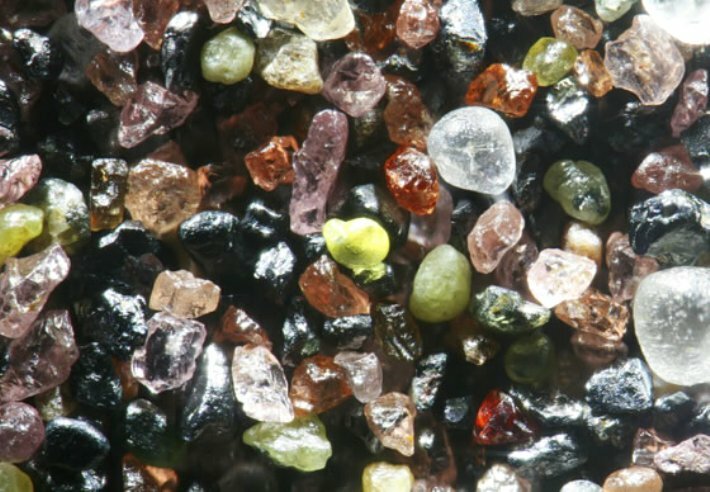 The dictionary defines sand as “small loose grains of worn or disintegrated rock.” Rock. Building blocks of roads, mountains, and gardens. Boulders and cliffs. 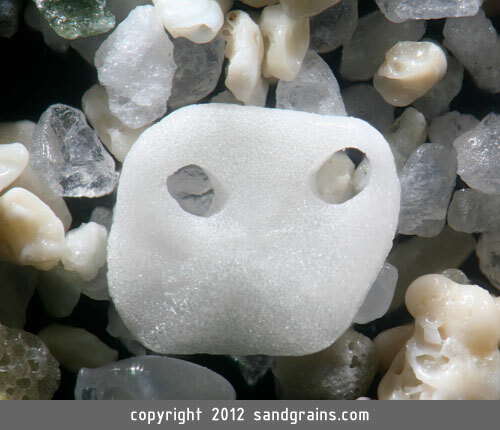 Sand is merely the accumulation of hundreds and thousands of years of erosion. Isn’t it? Sand fills our beaches, mixes with our soil, pots our plants. We wash it off our feet and make castles out of it. So versatile, so insignificant. 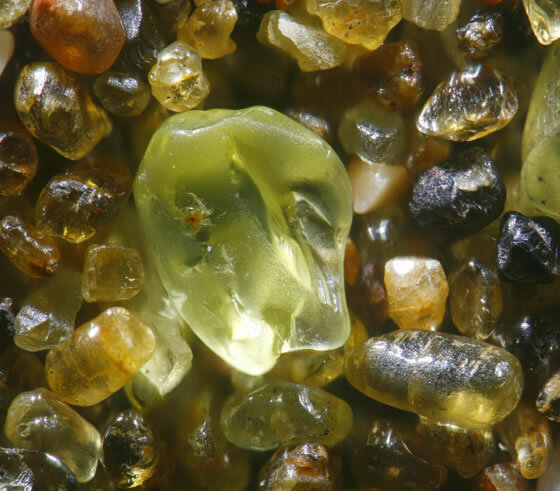 But if you stop by Dr. Gary Greenberg’s world, you will find grains of sand are so much more than that. For Greenberg, his photography, his art, is a doorway through which we can more deeply embrace nature. 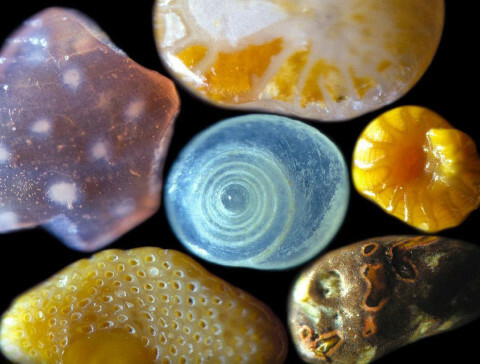 His mission is to reveal the secret beauty of the microscopic landscape that makes up our everyday world. The more I see the intricacies of the world, the more I am amazed. Astounded. 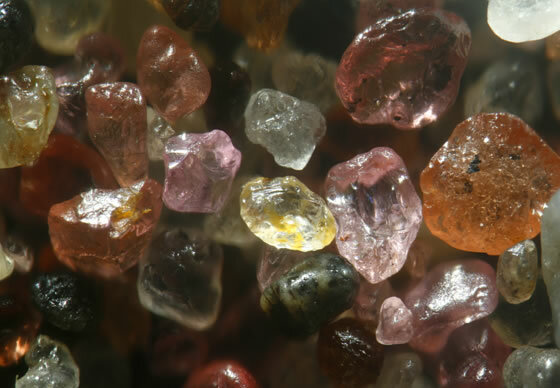 See more microscopic visions at www.sandgrains.com. 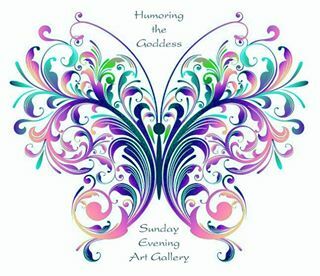 You will be amazed, astounded, and humbled too. Some beaches are dead coral and crunched sea shells, in addition to sand. Some of the weirdest sand I’ve ever seen. I loved this post. Thanks for the link. Yes! 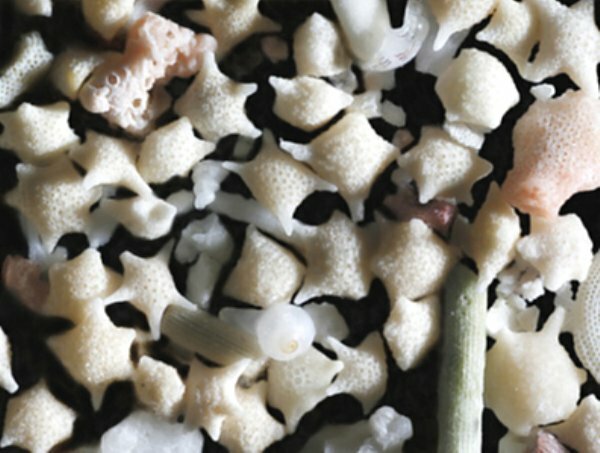 Like the image of the tiny stars…how can nature make something so small so unusual and perfect? Outstanding world, is it not?